Things are not going well for the Philadelphia Phillies as they have won just two of their last eight games played. After being swept over the weekend by the San Francisco Giants, Phillies veteran pitcher Jake Arrieta became very upset. The loss on Sunday included the only run the Phillies scored during the entire series. That run was knocked in by Arrieta himself during the third inning with a home run. The home run was the sixth of Arrieta career but it was not enough to keep the right-hander calm. This is Arrieta’s first season pitching for the Phillies. Arrieta added that the team has made bad shifts on defense, but did give some credit to Giants outfielder Andrew McCutchen who hit a home run on a ball Arrieta did not expect would leave the park when it was hit. That home run was part of the five run the Giants scored in the sixth inning. Arrieta described in more detail what he considers to be defensive deficiencies the team has. He said the Phillies were the worst in the league when it came to shifts, so that is something that needed to be changed, added the right-hander. Arrieta also said that accountability is now an issue for the ball club. An accountability check must be done by the team as this point in time, which is a very key moment in the ball club’s season, following a solid April and good May, June has started out poorly, the veteran said. 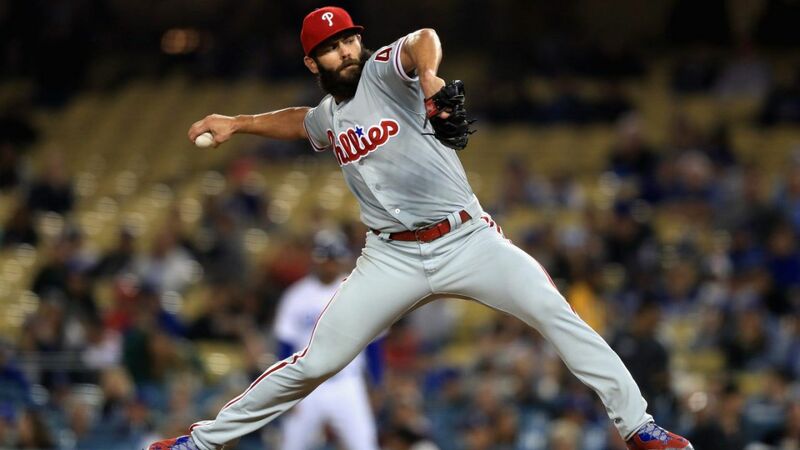 Despite pointing out the defensive decisions made by the team’s coaching staff and a mistake made by Scott Kingery the team’s rookie shortstop, Arrieta added that he hopes the players can do something during their day off on Monday to return to the right mindset. The Phillies are currently five games over .500 at 31-26 and still very much in the National League East race on three games out of first place. They begin a series Tuesday on the road in the Windy City against the Chicago Cubs. The Cubs are the team that Arrieta left during the offseason as a free agent. Thus far the right-hander is 5-3 with an ERA of 2.66, but he is not expected to pitch during the series with the Cubs, as his next start is scheduled for Saturday against the Milwaukee Brewers at home.